Veterinarians believe that periodic professional dental cleanings coupled with home dental care is a critical element of total healthcare for our pets. Periodontitis, inflammation of the tissues, and structures surrounding the teeth, not only causes “doggy breath” but also pain, discomfort and potential tooth loss. It is not normal for your pet’s mouth to have a severe odor. The by-product of bacteria produces this foul odor. Dental disease generally begins with inflammation of the gums and accumulation of plaque on the teeth. Plaque is formed when bacteria combine with salivary debris. Tooth loss, gum bleeding, and pus between the teeth or at the gum line are indicators of advanced periodontal disease. A pet with periodontitis can send a bacterial shower into the blood-stream every time it chews. In turn, these bacteria can affect the heart valves, lungs, liver, and kidneys. We can’t change the genetic code of your pet, but we can significantly slow the progression of dental disease through homecare. We educate all puppy and kitten owners on basic teeth brushing techniques as part of routine grooming and training. Daily teeth brushing is ideal. It takes 6 to 8 hours for bacteria to attach to the tooth’s surface. The bacteria then absorb calcium from saliva and become mineralized, forming tartar or calculus. This is why brushing is recommended daily, to continually break this cycle. While brushing a few times a week is helpful, brushing weekly does not significantly inhibit the formation of calculus. Do not use human toothpaste when brushing your pet’s teeth. The toothpaste may cause tummy upset and the fluoride levels can be toxic to their kidneys. We recommend CET enzymatic toothpaste for pets. Though there is no substitute for brushing, as it mechanically breaks up the plaque film, there are other home care options when brushing simply is not possible. These include wiping the teeth with medicated wipes, rinsing the mouth with an antiseptic prescription rinse and lastly using chews, such as CET Chews and Greenies. While calculus is reduced by chewing on hard crunchy foods and treats, real bones, rocks, and even ice can cause fractures of the teeth, and are best avoided. We can assume that dental disease causes pets significant chronic pain, just as it does in people. After dental care, it is thrilling to see the dramatic improvements in pets we have treated for advanced dental disease. Their activity levels, appetite, and energy levels often improve significantly. 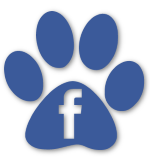 We would be glad to discuss specific recommendations for your pet, in both the professional and home care realm. We can determine upon exam the need for a prophylactic cleaning (to prevent disease) or periodontal therapy (treatment of current disease) and provide an estimate accordingly. As a rule, smaller breed dogs and cats are more prone to periodontal disease than large breed dogs. The interval between professional cleanings varies based on the same factors that influence development of disease. Some dogs and cats need annual cleanings while some may go a lifetime without the need for this procedure. An adult cat has 30 teeth; and an adult dog has 42. One of our wellness goals is to educate owners to care for each of these teeth over the lifetime of their pet. Dental care isn’t costly, but dental disease is.